I love finding new places to explore and when the weather is as glorious as it is right now (long may it continue... we can live in hope! ), as a family we just want to get outside and enjoy the sunshine and nice surroundings. Whether it's a National Trust location, a walk around town, a picnic at the park or a day out at an attraction, being outside and being active is what summer is all about for us. I don't know about you, but it's not always easy to get out and about, particularly if you have young children or older parents or family members. I remember when we went to Cornwall on our first family holiday when Ethan was just five months' old and how parking the car was a nightmare and trying to navigate around with our bulky pushchair was really hard work. We couldn't even fit down some of the pavements and some shops we just couldn't get into because of the high steps! My parents live down south and we visit every couple of months, and at this time of year, there's a lot to enjoy where they live, including the local lake, annual canal fayre and lots of spots of natural beauty. The trouble is, my Dad has difficulty walking. He turned 70 this year and his legs are a real source of pain on a daily basis. 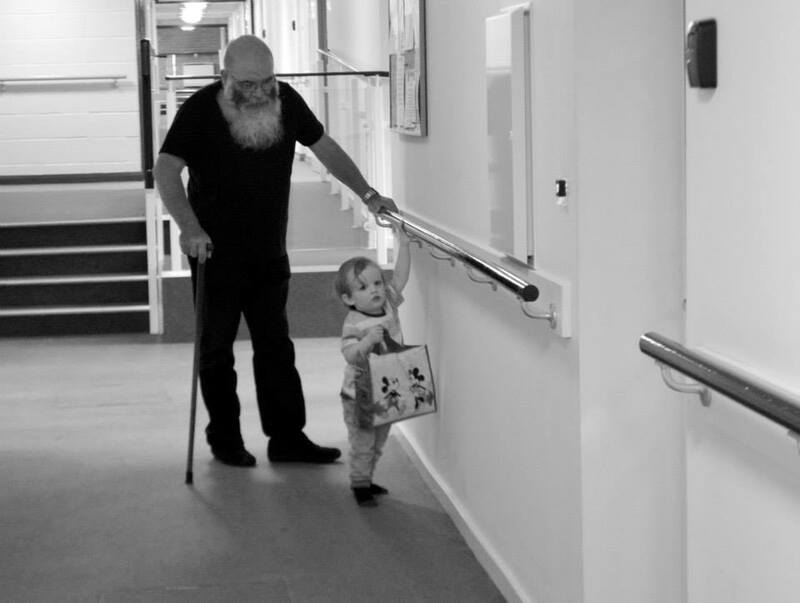 When he starts to walk, he soon has a build up of pain which makes him have to stop every so often to recover and let the feeling in his legs dissipate. It's a real frustration for him and I know he'd love to try and keep up to Ethan, who always tries to lend his Gramps a helping hand. Dad does have a mobility scooter and takes a walking stick out to aid him when he's going out and about, in his village or out with us somewhere. 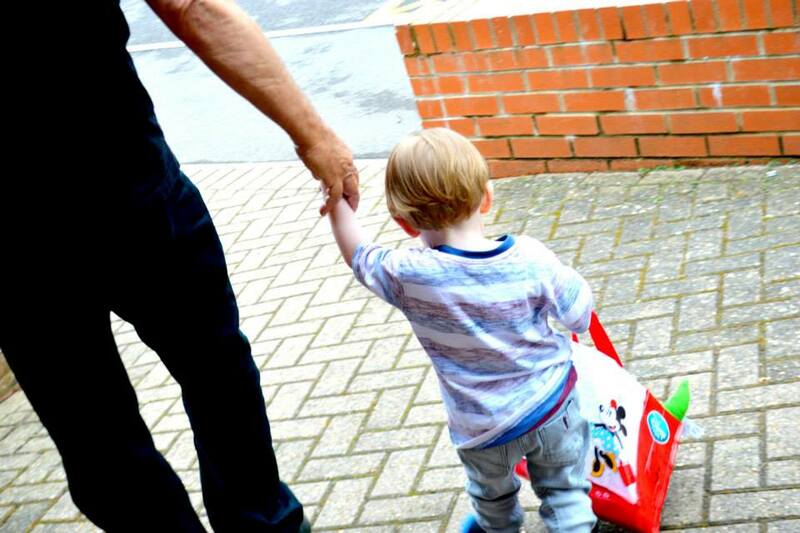 His walking issues do make it difficult for us as a family as when we come to stay, we'd love to get out and about with him and visit new places, but we feel restricted by how much Dad can do. That's why I'm supporting the #DaysOutForAll campaign, created by mobility experts Fenetic Wellbeing. 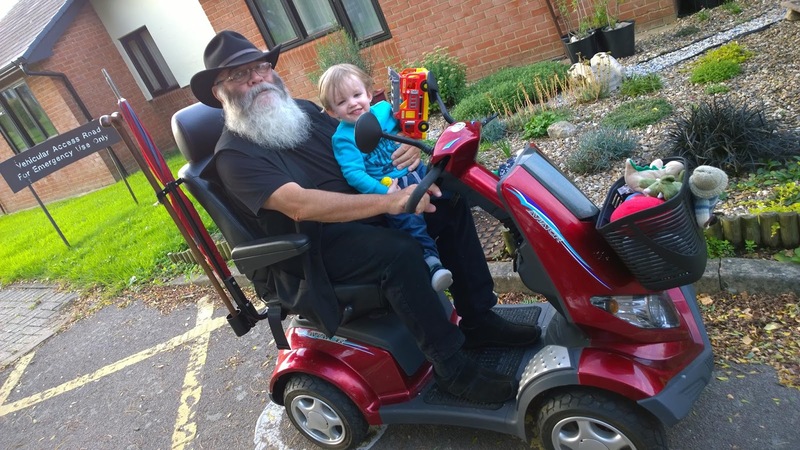 They firmly believe that days out should be for ALL members of the family, including those who may have mobility issues as well as older generations. They help provide customers with the right healthcare and mobility products for their individual needs and #DaysOutForAll this summer is all about helping everyone enjoy time together, whether they need a walking aid or not. There's so many places I'd like to take Dad when he comes to visit; he'd love Baddesley Clinton and Calke Abbey for the surroundings and historical interest, whilst Ethan loves being able to run around and spot animals, and I'd love to take him on a Center Parcs break too, as he'd love being in the forest and having time to relax and enjoy time with us all. Where there's a will, there's a way... so there should be nothing stopping us from all enjoying a day out, should there? To celebrate this worthy campaign, I have a family day out voucher from Buy A Gift to offer one lucky winner, for two adults and two children to enjoy a day out at their choice of almost 200 locations nationwide, thanks to Fenetic Wellbeing. You have until midnight on 28th June to enter via Rafflecopter below and there's various ways you can enter so the more you do, the more chance you have of winning. Follow Fenetic Wellbeing and their #DaysOutForAll campaign on Facebook and Twitter. I'm sure it can be hard to find really accessible places but it's so nice when you can go out as a whole family. I know I used to get a little frustrated just trying to get a pram around places but I would be determined to do it! Much more difficult for those with mobility issues. We love days out as a family and go out as often as we can. So many places are a problem for buggies, aren't they?! Nothing should stop us from going anywhere though, whatever your needs.